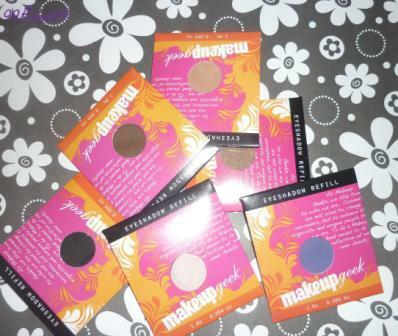 Last month, I partook in MakeupGeek Valentine’s week sale. It was 20% off everything in the store. YAY! So I went to town! This is the second time I have ordered from them. My first haul here. 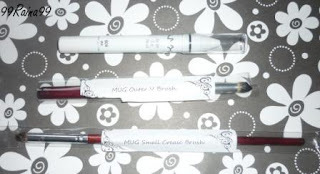 So I bought six MUG eyeshadows ($5.99 ea - less 20%), a NYX Jumbo Eye Pencil in Milk (I can never find it here) and two pencil brushes. 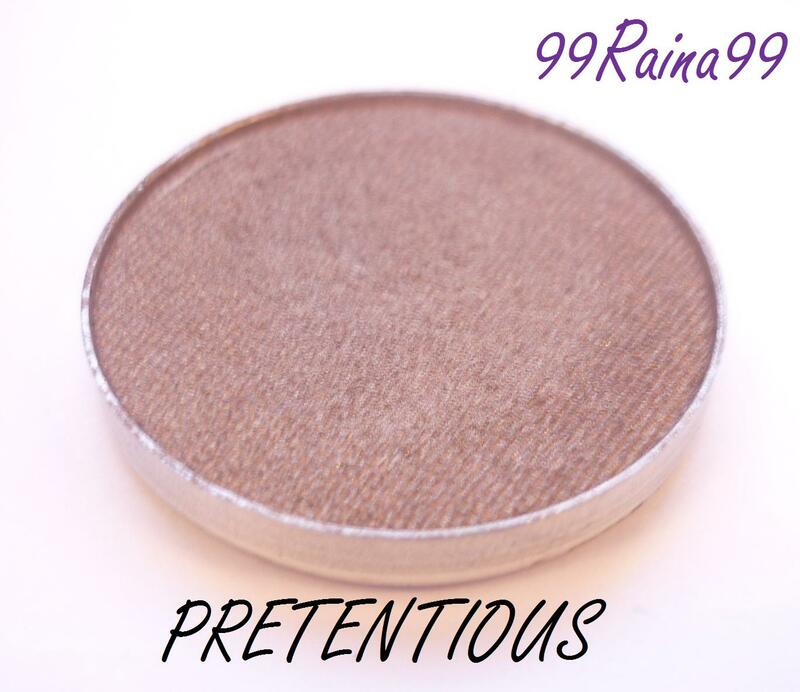 What does Makeupgeek say about their eyeshadows? Well they are cruelty free, talc and paraben free and Highly Pigmented. NOTE: these shadows only come in pan form. You will need to put them in a magnetic palette for storage. See the option I chose here. 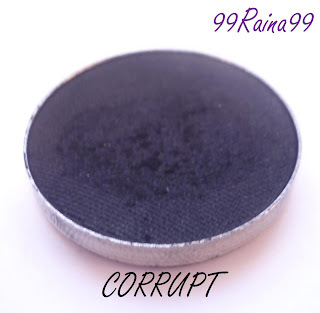 Corrupt – matte black. This is the blackest eyeshadow I own now. WOW Just WOW! Be careful applying cuz it is BLACK! LOL As with most matte blacks there is some fallout. 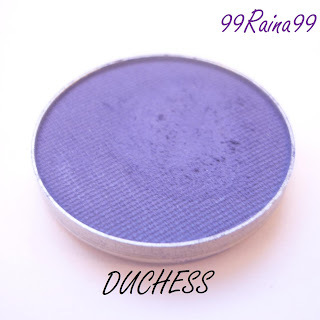 Duchess – matte purple. I just had to get a purple. I love me some purple. 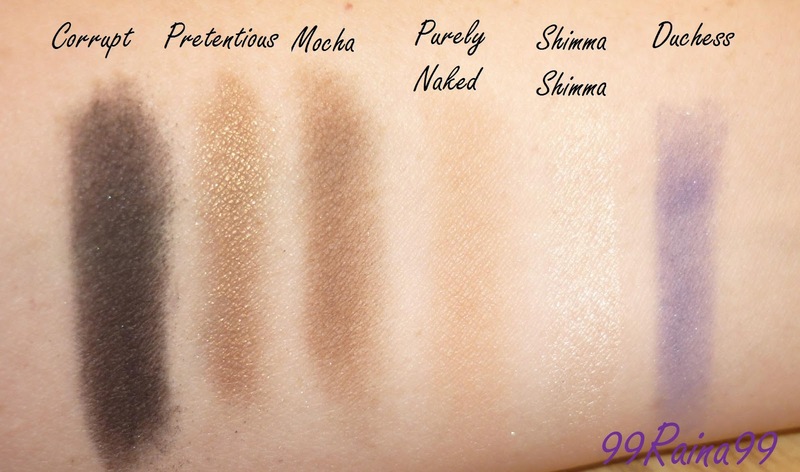 I need to play around with this one but I like the way it swatches so far. 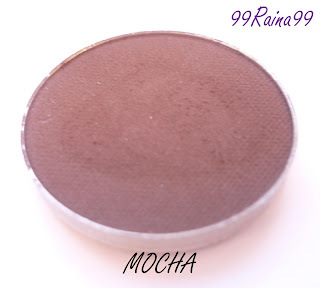 Mocha – matte dark brown. I couldn’t decide between this colour and Latte. So I went with Darker is Better Right LOL well it is! 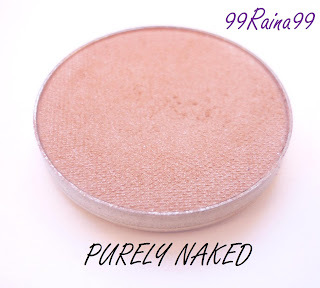 Purely Naked - slightly shimmery tan beige. It is not as dark as the website shows but you know what? I like it better this way. I got this for a transition colour to blend the darker shades out. 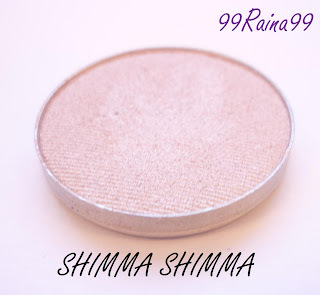 Shimma Shimma – shimmery champagne – lovely colour. This will be an excellent highlight colour! I swatched some of the eyeshadows before I took pictures - sorry about that but I am like a kid in a candy store when it comes to makeup. I just can't help myself. It is my crack! 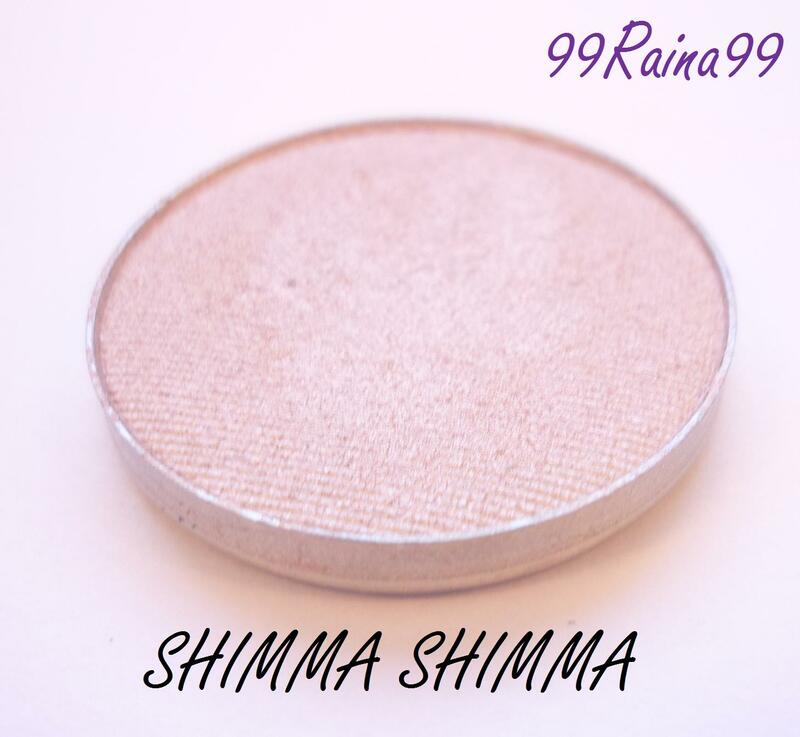 I also had to turn the flash off on my camera when snapping Pretentious and Shimma Shimma as the shimmer in combination with the flash washed out the picture but the swatches show how much shimmer they really have. A couple of the brushes I wanted were sold out but I did get two pencil brushes. The MUG Small Crease Brush was fine but the MUG Outer V Brush was messed up when I first opened it up. It looked like it was cut funky and was super pokey. But I said to myself, "Calm down girl, wash the brush first and then freak out!" 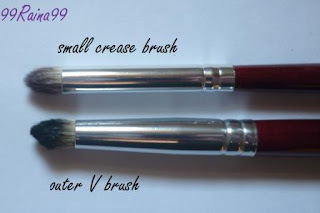 After washing the Outer V Brush, it got its shape and became soft and dense. So all was good in the world again. Word to the wise: Wash the brushes first! Like the Sticker says! So what are my thoughts on the MUG eyeshadows? So far I think they are outstanding. 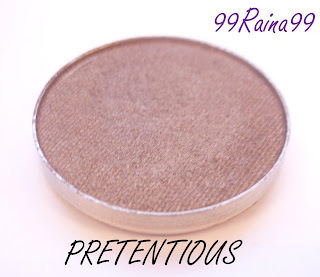 They have a nice creamy texture, are very pigmented and blend well. I haven't tested longevity yet as I need to play with them a bit more. So I will do a more in depth review later on. Overall ordering was great. Shipping was cheap, only took 7 working days to arrive here to Canada and it was packaged excellently – nothing was broken. I also like that Makeupgeek takes Paypal so that is a bonus for me. Will I order from them again? That’s a big ole Hell Yeah! 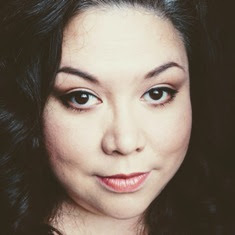 I'm considering ordering from makeupgeek.com, but am worried about surprise duties when they get to Canada. Have you had any issues with that? I had no issues at all with duty. But I kept my order around the $50 mark each time. Generally anything under $50 get let through. Shipping was so quick. I have ordered twice from MakeupGeek and no problems. I WENT LIP BUTTER CRAZY!! !